PETER Snowden, the master trainer of two-year-olds, has dismissed the "back-up hoodoo" as an issue for brilliant colt Cosmic Force in the Group 1 $3.5 million Longines Golden Slipper (1200m) at Rosehill Gardens on Saturday. 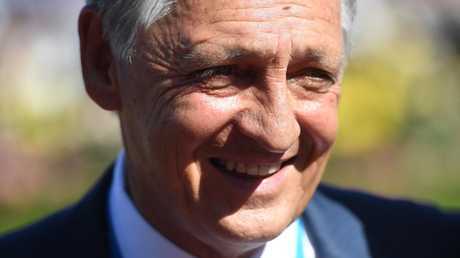 And Snowden's view is supported by one of the nation's leading form experts, Gary Crispe, who believes the trainer is poised for a third Golden Slipper success. It would be a remarkable rise to Slipper glory for $4.40 favourite Cosmic Force if he can win as last Saturday morning the colt was a $51 outsider and wasn't even qualified for the big race. But Cosmic Force's runaway Pago Pago Stakes win by more than seven lengths secured him a Slipper start and race favouritism. The last two-year-old to win the Pago Pago-Golden Slipper double was Stratum in 2005 - in fact not Slipper winner since has raced the week before - but Snowden is confident Cosmic Force can cope with the quick back-up on Saturday. "Cosmic Force has just kept improving and that is something I always look for in a two-year-old,'' said Snowden, who trains in partnership with his son, Paul. "What you see and what you get is often two different things but, with this colt, he just keeps on pleasing us. He looks amazing after his win last Saturday, so the quick back-up is no issue. Team Snowden has won the Golden Slipper previously with Sepoy (2011) and Capitalist (2016) and Crispe said Cosmic Force has all the necessary attributes to win the big race. "The Golden Slipper is one of the most open in years highlighted by the fact there isn't one horse with a Timeform rating of more than 120 in tomorrow's field,'' Crispe said,. "However, on the flip side is that we have the winner of every major lead-up race in the field - Breeders Plate, Gimcrack Stakes, Magic Millions, Blue Diamond, Silver Slipper, Sweet Embrace, Skyline, Reisling, Todman, Pago Pago, Magic Night and Black Opal. Crispe said Cosmic Force returned a Timeform rating of 118 in the Pago Pago, the highest figure by any two-year-old this season. "On average Cosmic Force has improved nine points at each start and is clearly trending the right way,'' Crispe said. "The quick back-up is another tick as he is likely to strike similar conditions to what he faced last weekend. 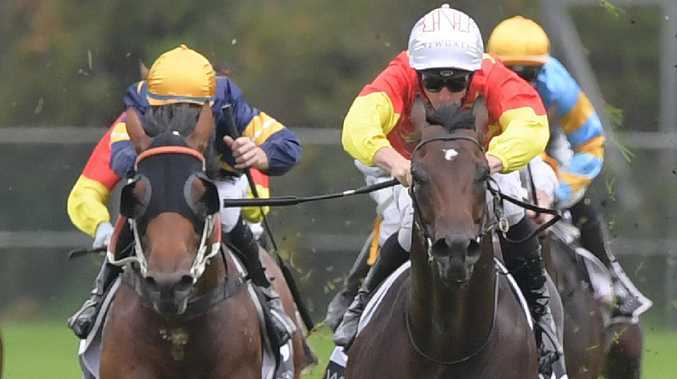 Yes Yes Yes is clearly trainer Chris Waller's best chance of finally winning the $3.5 million Golden Slipper at Rosehill Gardens on Saturday. Waller has been the nation's dominant big-race trainer for nearly a decade but has not come close to winning a Golden Slipper. In fact, he has not managed even to place in Sydney's signature race. "It's not the be-all and end-all,'' Waller said of winning a Golden Slipper. "But I do understand the importance of the breeding industry and, in the big scheme of things, it makes a name for a horse instantly. "Traditionally, I take two or three years to make a name for a horse. Yes Yes Yes, a son of first-season sire Rubick, was the Golden Slipper favourite after his outstanding Todman Stakes win. But an unkind barrier - the colt starts from the extreme outside in barrier 16 - has resulted in the colt easing to $7.50 (from $5) while Cosmic Force is at the top of betting at $4.40. Waller remains upbeat about Yes Yes Yes despite the colt's horror barrier. "I think, if anything, a soft track could be to his advantage because barrier draws might not be as important,'' Waller said. "I don't think he will have a problem on it (wet track). It's hard to tell on trackwork but it looks like he gets through it OK.
"I don't see there being a standout two-year-old this year, it's a very even race. Waller can approach the entire meeting with real confidence as he also has champion mare Winx ($1.06 favourite) in the Group 1 $1 million George Ryder Stakes (1500m) and super colt The Autumn Sun ($1.50) in the Group 1 $600,000 Rosehill Guineas (2000m). The Hall of Fame trainer also has five runners in the $700,000 Ranvet Stakes (2000m) - including classy mare Unforgotten ($7.50) and the flying Nature Strip (pictured) in the $700,000 The Galaxy (1100m). Unforgotten, who is joined by stablemates Libran, Shillelagh, Egg Tart and Savvy Coup in the Ranvet, is untried on heavy tracks and was unplaced at her only soft-track start. 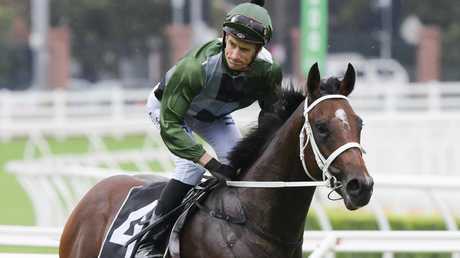 "She is ready for 2000m now, this is the trip she is looking for,'' Waller said. "I know Winx has made her look a little plain at her last two starts but I think she is going as well as ever. Waller said Shillelagh was unlucky not to win the Australian Cup but the track conditions concern him.